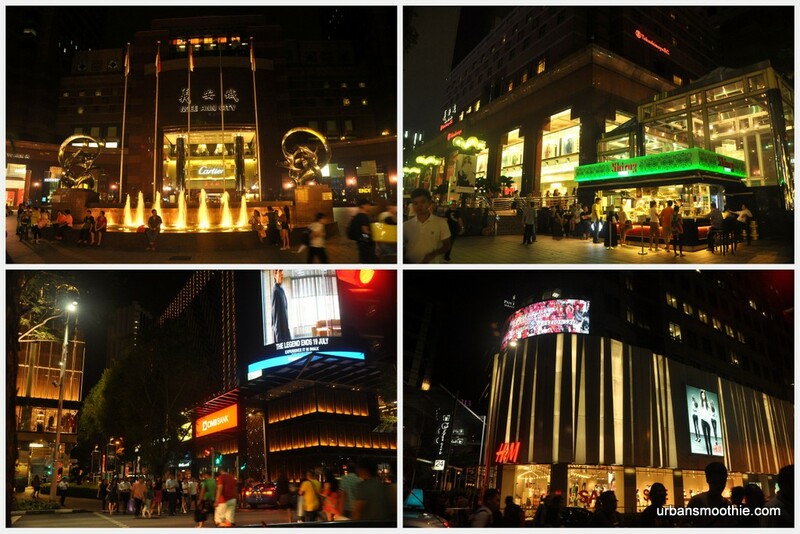 If you are interested in shopping, Orchard Road is the place to be. From ION Orchard to Takashimaya and Ngee Ann City, there were countless of shops from luxury brands to lower range clothing available for us to shop till we drop. The Orchard Road is well-known as the shopping paradise in Singapore. I've decided to pay the high-end window display a visit, even though I will never step into those shop. I took the MRT to stop directly at Orchard Road station and once I exited, I'm within the ION Orchard Shopping Mall. I tried to walk around and then finally manage to locate the exit towards the Orchard Road street. 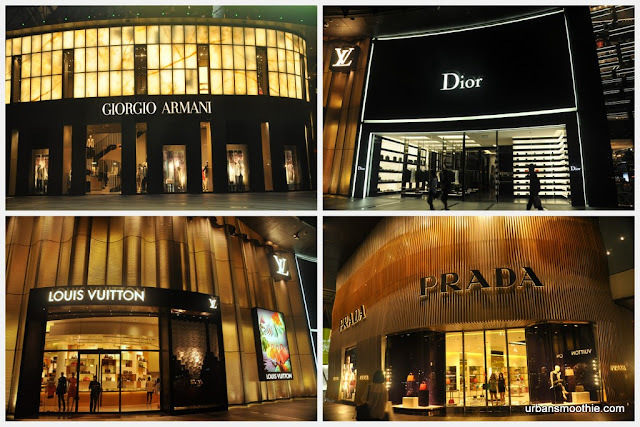 Here I came across all those luxury brands, such a Giorgio Armani, Fendi, Dior, Prada, Hermes, Marc Jacob and etc. I'm sure whatever brands that come across your mind, you can find them here. I look over the window display in awe wishing one day I can purchase something in there. Along the streets, crowds of tourist and local alike was enjoying the nice weather. It had been raining during the day and the pavement were still wet. The street of Orchard Road seems to be almost a kilometre. I walked all the way from ION Orchard until I see nothing interesting any more by the time I passed by Courts. Before I headed back, I went down to Level B3 and B4 of ION Orchard to shop around the more affordable shops for us mortal people. There were shops such as Zara, Cotton On, Esprit and other lower-range product. Unfortunately, with my home country lousy conversion rate, everything seems expensive to me after the conversion. I ended up going back empty-handed, which is a rare case from my shopping experience.